Mangal Printers The Printers is a name that is synonymous to reliability. The company is a professionally managed organization dealing in the business of Printing Services. We offer excellent Printing Services for Bill Book, Booklet, Brochure, Business Card, Catalog, Letterhead, Plastic ID Card , corporate magzines , and so on. We make use latest printing technology in offering Printing Services. Further, we use various colored inks which are of excellent quality. In addition to this, we can do printing according to client’s specific requirements also. Using the offset and digital Bill Book Printing services you can get some of the best designed and accurately printed Bill Books. 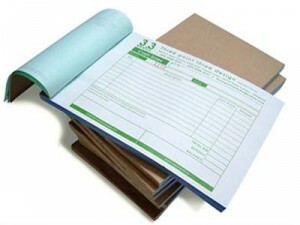 The experts cautiously assess your print requirements such that the best Bill Book Printing solution is offered. The company rests its pride on the expert team, who hold the proficiency of professionally handling the precise requirements of the clients. With commitment towards the work, the company is counted amidst the renowned Bill Book Printing Service Providers. More About Price And Quality Contact us! 15 Years Of experience In printing feild In Meerut , Noida , Greater Noida , Ghazibad .